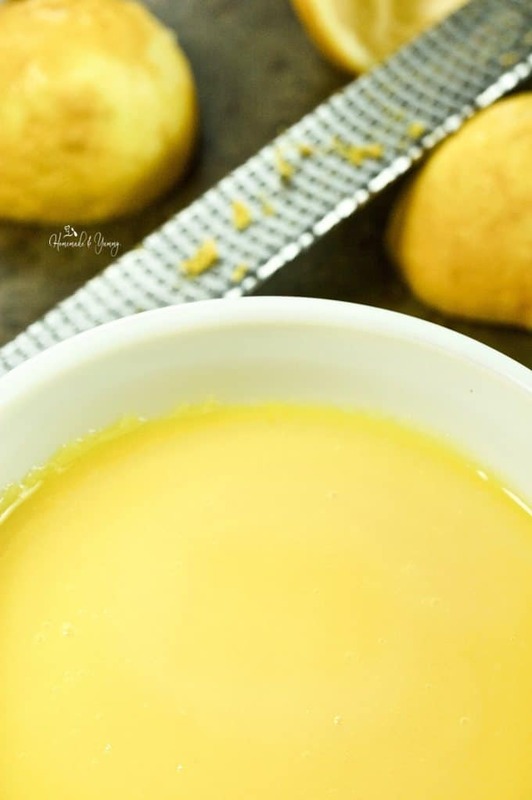 Perfect Lemon Curd Recipe | Homemade & Yummy Homemade & Yummy | Fun delicious recipes and more. Perfect Lemon Curd is smooth, thick and has a luscious lemon flavour. The perfect sign of SPRING!! Homemade lemon curd is so easy to make. Real lemons for juice and zest. Eggs, sugar and butter. Use it on biscuits and scones. Pancakes and waffles. Perfect tart and pie filling. Great on yogurt. You will want to eat it by the spoonful! 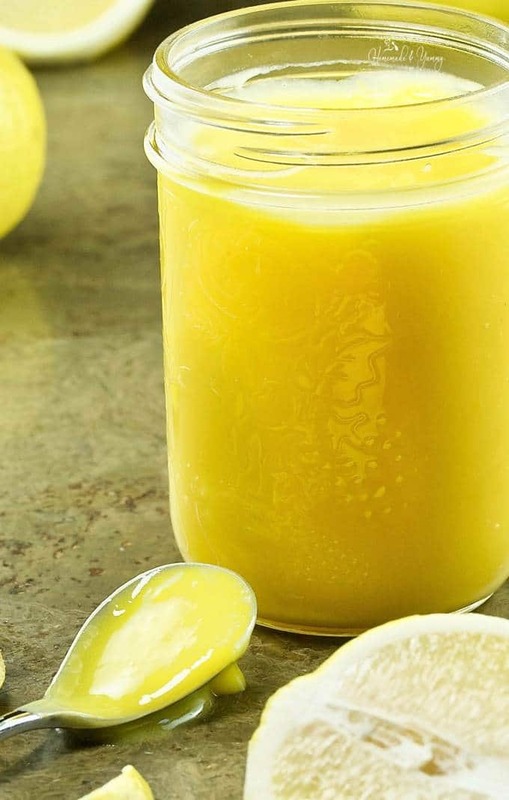 If you love lemons, this easy lemon curd recipe should be on your “must make” list. Give it a try in lemon curd parfait. When it comes to SPRING I immediately think of lemon desserts. I am so ready for the bright yellow sun and fresh flavours. Lemon Polenta Cake often makes an appearance on my Easter dinner table. Since becoming a gramma, I have had to come up with some new lemon desserts that are kid-friendly. Lemon Ice Cream seems to be a hit around here. However, my grandson has requested a lemon pie for his 7th birthday this year (minus the meringue). The perfect place for this lemon curd filling. Lemon curd is a condiment. Think jam, jelly, marmalade or even custard. 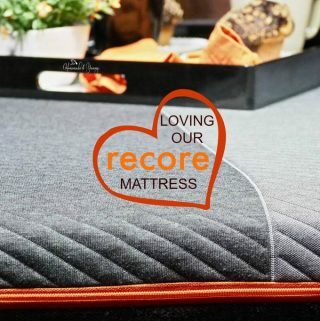 It has a smooth texture, sweet/tart flavour and beautiful yellow colour. Very popular in Britain, this fruit curd is sometimes referred to as “lemon cheese”. 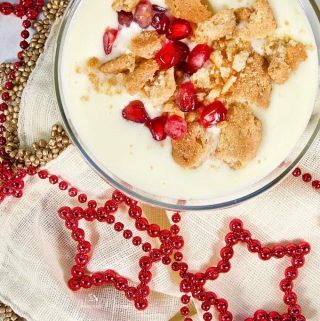 Alternative recipes make it with oranges, limes, or berry curds. 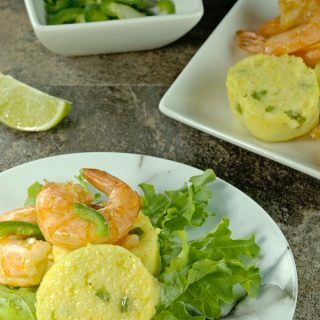 Another recipe where simple ingredients create delicious results. 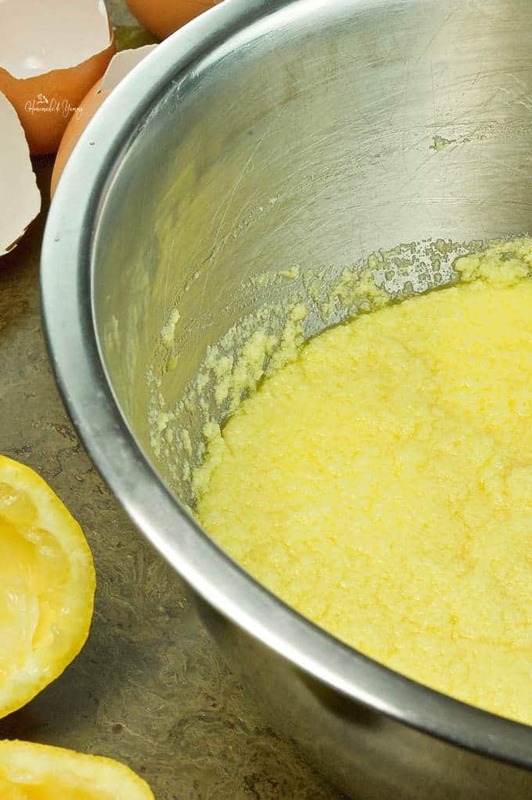 Have you made lemon curd before? For some reason, I thought it was a difficult thing to do. Some recipes require you to strain the curd to get it silky smooth. 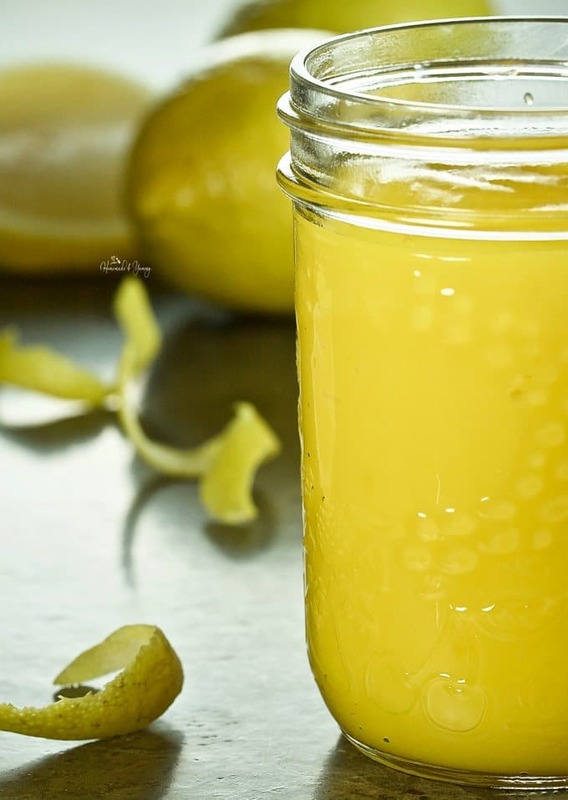 When I came across this great lemon curd recipe from fine Cooking, I was excited to give it a try. Perfection the first time!! Lemon curd will last 1-2 weeks. Place it in a sealed container and keep in the fridge. Alternatively, you can also freeze it to prolong the shelf life. I have heard of people also “canning” it similar to making jam. This will allow you to keep it for several months in the fridge. This is the BEST part! So many ways to use delicious lemon curd. Since it is so easy to make, and if you are like me, you will be hooked and make it often. 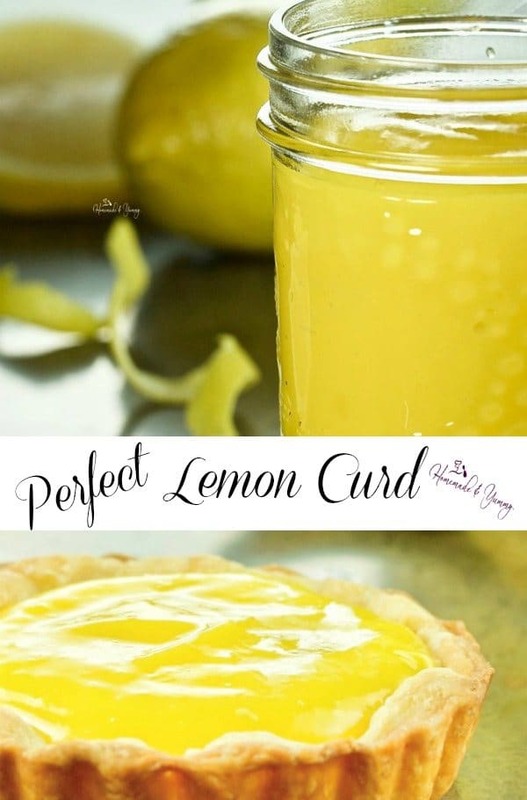 I’m sure once you try this Perfect Lemon Curd, you will come up with LOTS of ideas yourself. What is your favourite way to use lemon curd? Not sure how I’ve made it this far in life without making my own lemon curd. It’s seriously one of my faves, so the wait is over—I’m off to make this!!! I need to make more this coming weekend. We LOVE this stuff. Never had lemon curd but what a beautiful sunshine-yellow! I love all the ways it can be eaten as you mention in the post. My favourite would be as a spread I think on biscuits. Oh my…you need to give this recipe a try ASAP. You are really missing out on some deliciousness!! I swear lemon curd was sent from heaven! I could slather it on anything and everything! One of the simple things in life that is SOOOOO delicious. Lemon Curd is good for so many things! I love it, particularly on ice cream! It’s lovely. Thank you for showing me how to make it. Hope you give this recipe a try. It really is so easy to make. Give this recipe a try. You will see just how easy it is to make. Not to mention DELICIOUS. Don’t tell anyone but I might like sweet lemon things more than chocolate! Lemon curd is one of my favorite breakfast indulgences. 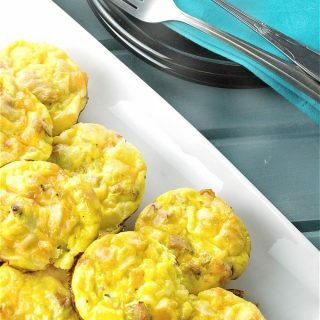 Such a great spring and summer flavor and perfect for spreading on pancakes or muffins! I know. I can eat this all year long. Perfect for so many things. I need to make more. Eating it out of the jar is THE BEST!! 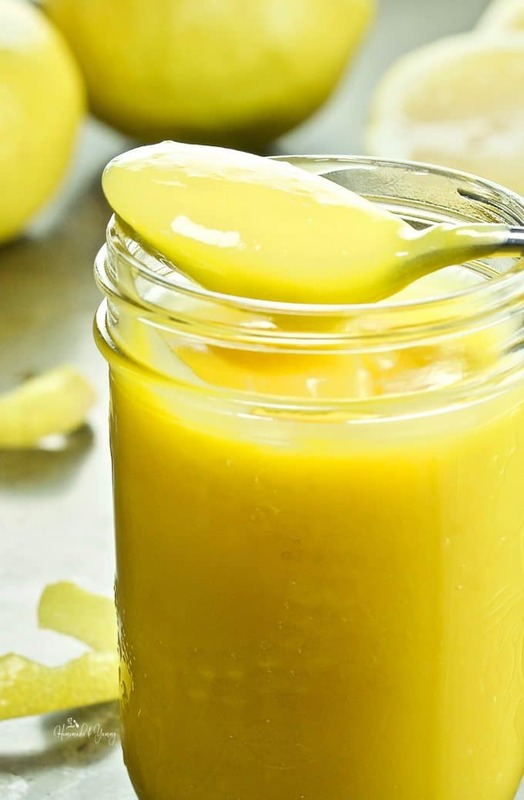 This lemon curd looks so delicious and is so easy sounding to make! I can just imagine slathering it on my pancakes! It is super easy to make. Give it a try and see. You will be hooked!! 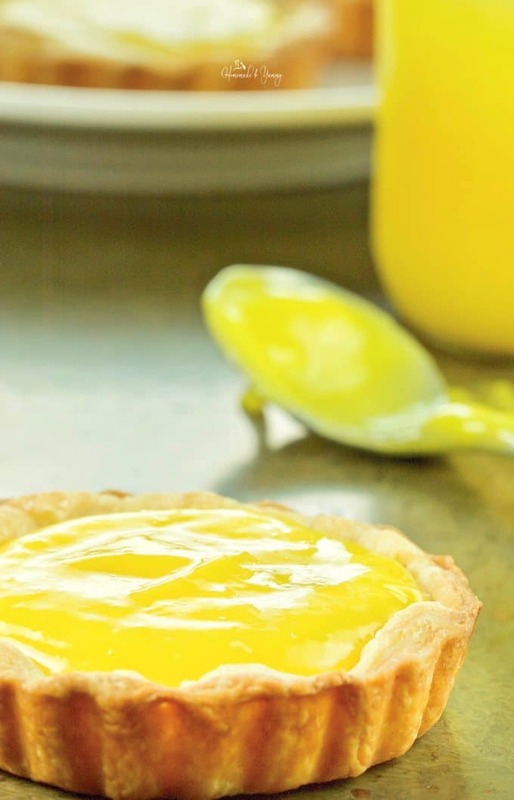 This lemon curd looks just perfectly creamy! I love the tangy yet sweet flavor of lemon curd and everything you can do with it. Yours looks just PERFECT. I can’t wait to try it! This is super easy to make and so delicious. Hope you give it a try. I have never made lemon curd but I think I just found my weekend kitchen project! W love all things lemon and I’m looking forward to adding this to the collection. Have fun in the kitchen with this one. Super easy and super delicious. This looks delicious. 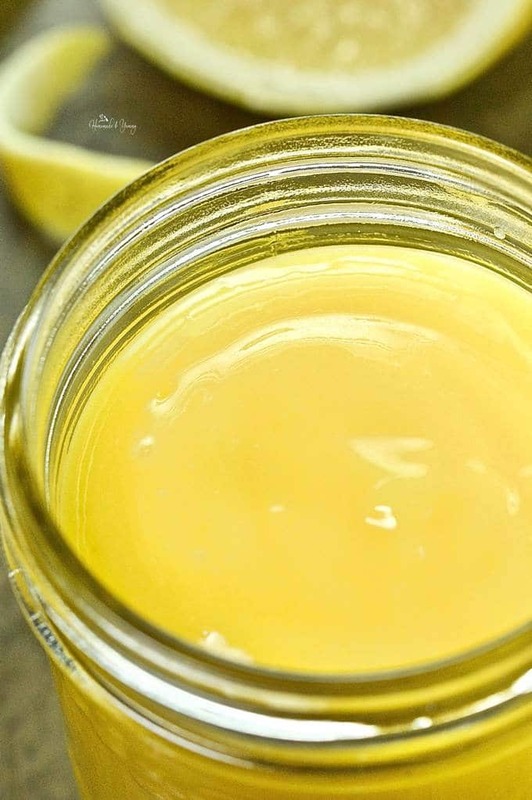 I have never tried making lemon curd, I never realized how easy it was to make. Thanks for sharing. Super easy. Hope you give this recipe a try. So many ways to enjoy it too. I adore lemon curd but have never made my own before. I think it’s time! You’ve got my wheels turning with all the things I could make with lemon curd now. But, like you mentioned, I’ll probably just eat it with a spoon, LOL! Giving this a try, thank you! I find it so hard not to just eat this off the spoon. Hope you give it a try. It is SUPER easy. This sounds like a spring staple that must start happening! Yup I need to make more…SOON! Oooh, lemon curd! I love lemon curd though I’ve always bought it instead of making my own. Now that I see your recipe and how easy it will be to make (finally a use for all those lemons I keep buying! ), I’m going to have to make some curd of my own. I’m thinking tarts with fresh berries. Yum! This is super easy to make. So much better than anything in the store. Give it a try and see. You will be a pro the first time. OMH making this with Meyer lemons would be AWESOME!! Lemon curd and blueberry scones are a match made in haven. ENJOY!! If you ask me what my favorite curd is, I will say – lemon curd. Just because it tastes insanely good and goes well with pretty much anything. I like how easy it is to make it, too – just what I prefer these busy days. Super easy to make a super delicious. Hope you give this recipe a try. I really enjoy lemon flavors in my food. And when it comes to curds, I think it is the best flavor you can make – it always gives that nice warm feeling of satisfaciton! This is such a great recipe. I love how perfectly it turns out EVERY TIME! Brilliant idea doing the mixing BEFORE putting the whole thing on the stove. I was whisking in the pot! I’ll have to try this method. I think I’ll have a better product at the end. Thank you! Honestly, this recipe is super easy. Hope you give it a try soon. I make often lemon curd. I love it as a tart filling. It’s so yummy! By just looking at the pictures in your post, I want to make it right now. 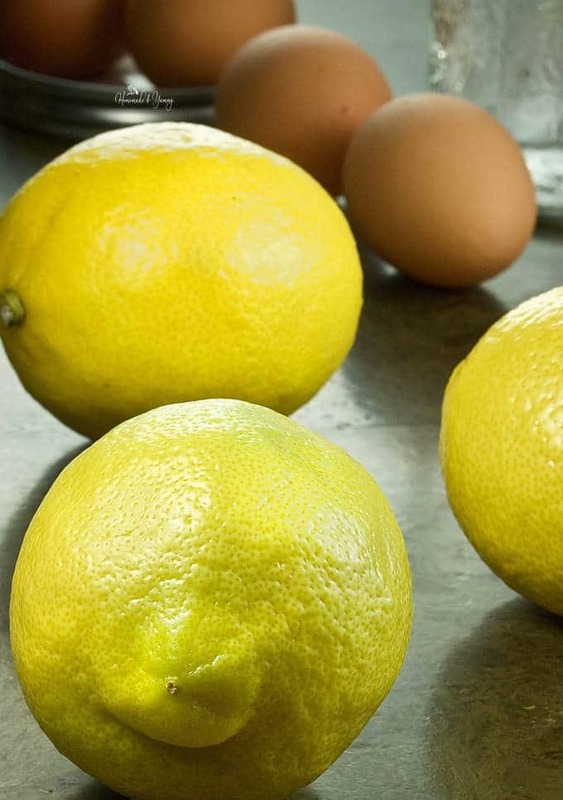 I am picking up some lemons this week…and them making scones. Yes it sure is. I need to pick up more lemons and make a new batch. This lemon curd is beautiful! I love lemon curd so much this time of year. I like to make meringue and top with the lemon curd and a few fresh berries. I can’t wait to try your version. 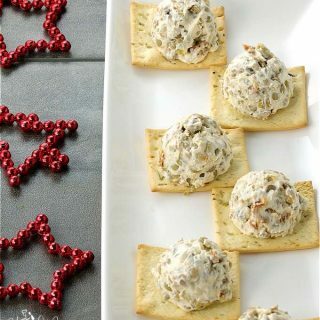 ENJOY…this is super easy to make. Totally delicious to eat!! I love lemon curd and ate so much of it when I was a kid growing up in London! (store-bought) I also though it’s more difficult to make! So happy to see it’s not! Can’t wait to try it! It is NOT hard. I hope you give this recipe a try and see. SO much better than store bought. 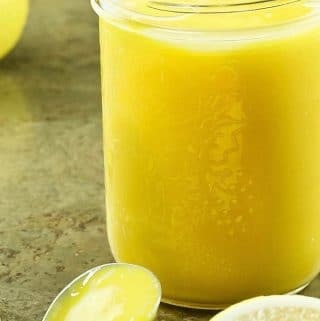 I love love love lemon curd and am always looking for the perfect method which this recipe looks like it fits the bill. Looking forward to trying this soon with some lemons from my neighbors. Honestly, this comes out perfect EVERY time!! Hope you give it a try.